I started by cutting the foam to dimension. 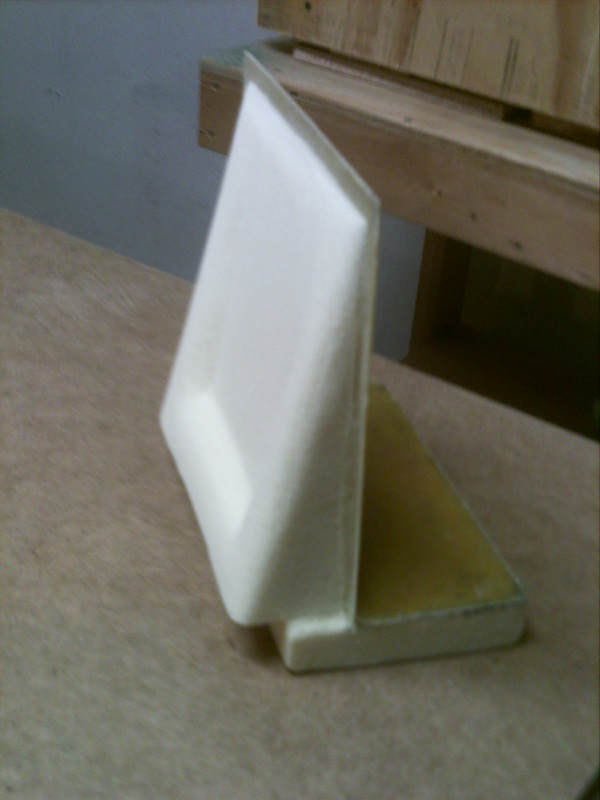 (Note that the 2″ foam is 7″ x 7″, not 7″ x 9″, as the plans could mistakenly be read as). 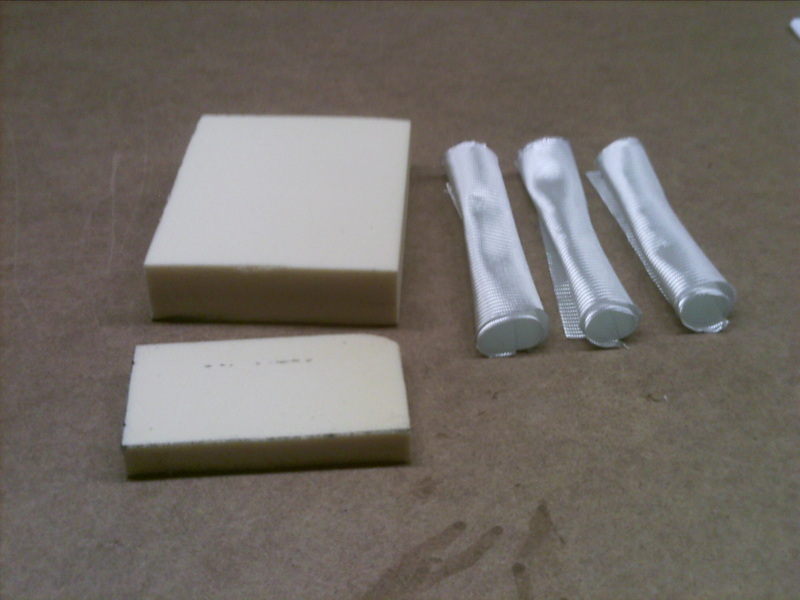 Started the first layup by nailing the two pieces together, and putting slurry on the foam, then putting Dry Micro in the joint. 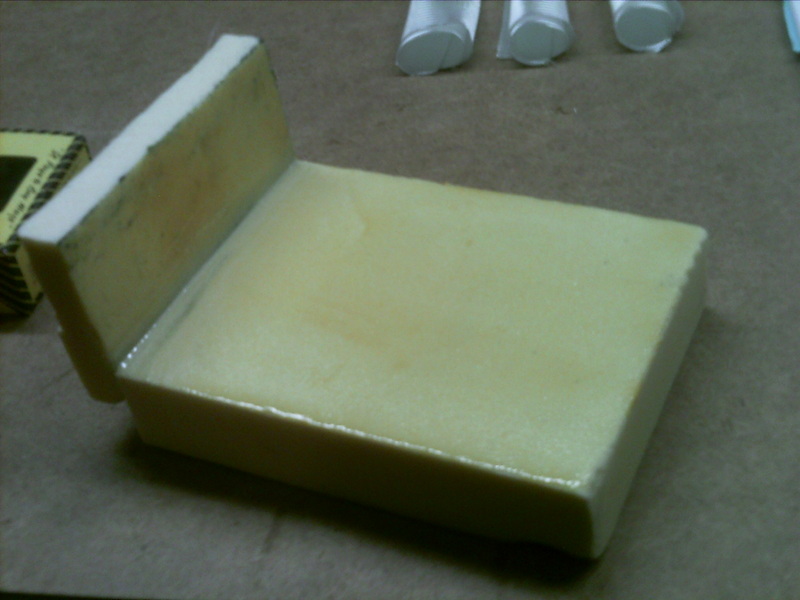 finished by adding three layers of BID (at 45*) with epoxy. Will come back in 4 hrs for trimming. 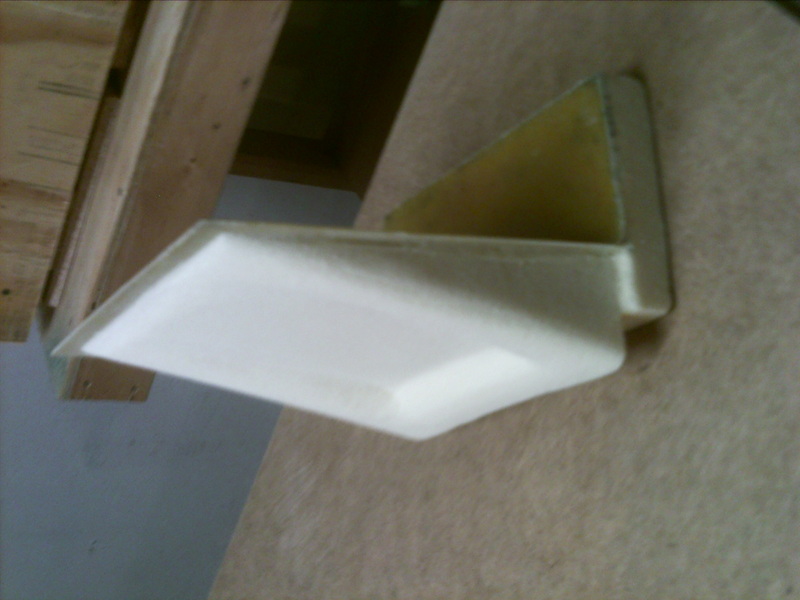 Trimmed the angle on the front surface of the foam, and then rounded the corners. 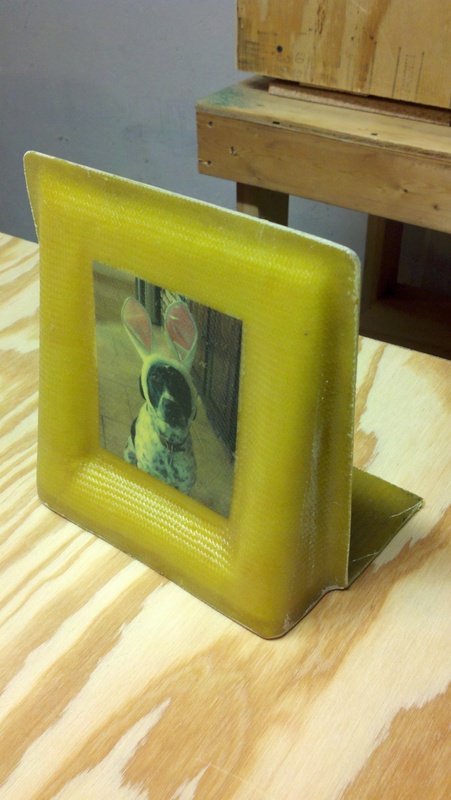 Cut out the depression for the photo to fit in, and sanded with urethane foam to get all pieces to an esthetically pleasing form. Sanded the back side of the fiberglass in preparation of the next layup. 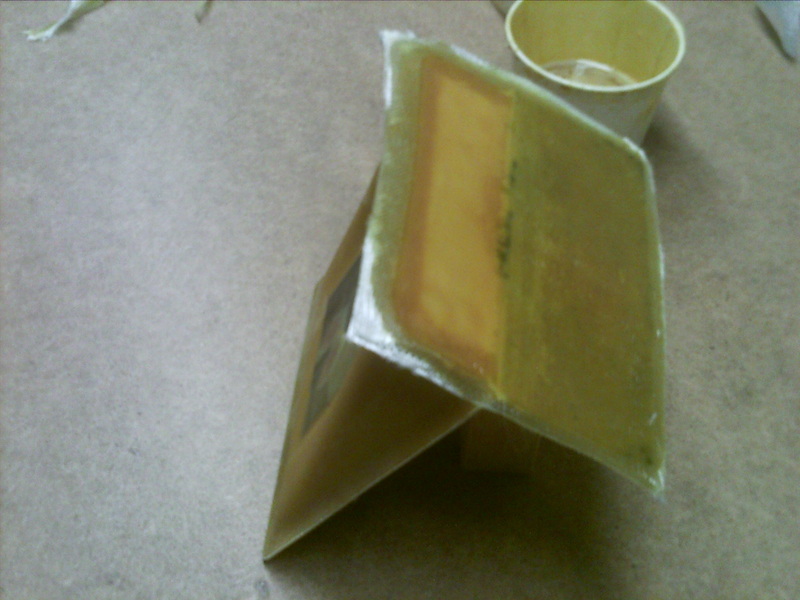 Started the second layup by adding the three layers of BID to the front of the bookend. Was going to add a cozy picture, but forgot to print one off. Ended up using a picture of Sally from last Easter (thanks to Jim and Karen). I’m sure Sally will appreciate the humiliating picture when she starts dating. I will come back to knife trim later after getting back from dinner in Iowa City. Completed the third (last) layup on the bookend. Trimmed with scissors to 1/4″. Returned from Easter 9 hrs later to knife trim. Works much better letting it cure the extra time! This entry was posted in 03. Education, Completed:. Bookmark the permalink.